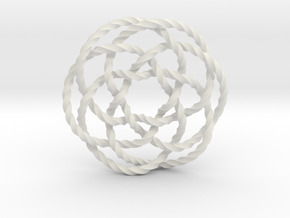 This is knot 10₁₄₄, the 144th knot with ten crossings in the Rolfsen knot table. 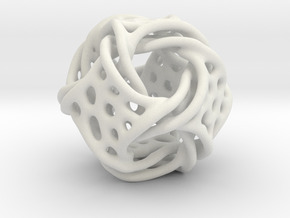 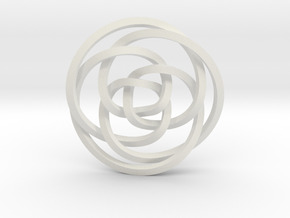 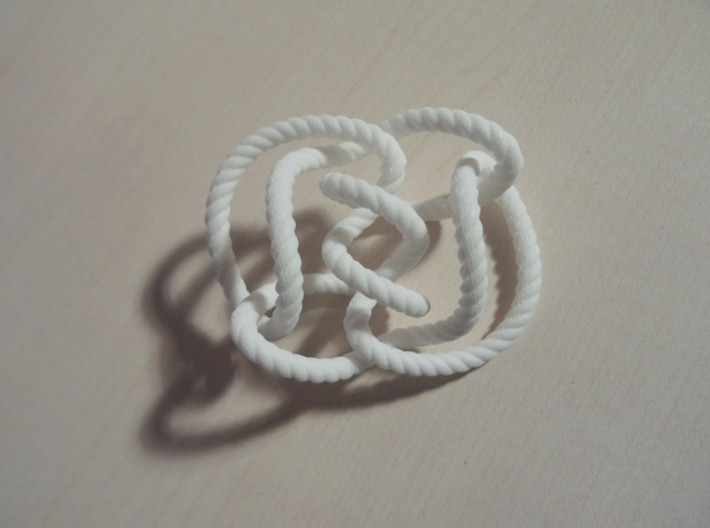 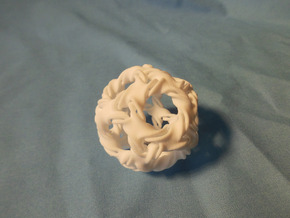 Be warned that depending on material, size, wire thickness, detail, complexity of the knot and the mood of the guys who do the manual printability checks, Shapeways may refuse to print it. I obviously did not test this for all of my over 300 knot models. 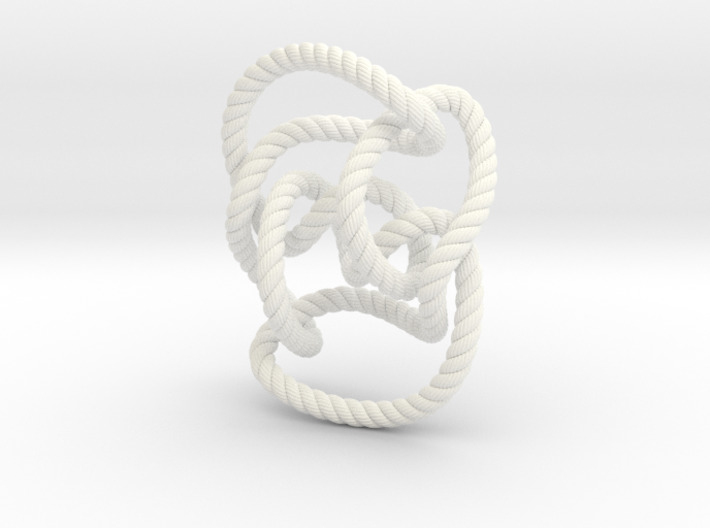 You can tell whether a knot has been printed successfully before in the chosen size and material by looking whether it says "first to try" under the material selection box.